There is a custom case for iPad to fit everyone’s needs at The Case Studio. We offer a variety of cases for iPad Air that can be fully customized. With our durable materials and 3D Thermal Color Fusion, your case will spring to life with photo-quality detail that won’t crack or peel. With so many choices, create a personalized case for your iPad that suits every occasion, outfit, or mood. The Sleek Case for the iPad AIR is an ultra-thin, super-tough polymer shell that fits tight to your iPad AIR. It won’t slip off, crack, fade or peel. While not designed for maximum shock absorption, the Sleek case for your iPad AIR provides an extra layer of protection against scratches. The wrap of the case provides a small but vital raised edge to reduce damage to your screen when placed face down on a smooth surface. Sleek Cases for the iPad AIR are fully customizable with your photos, graphics or patterns. 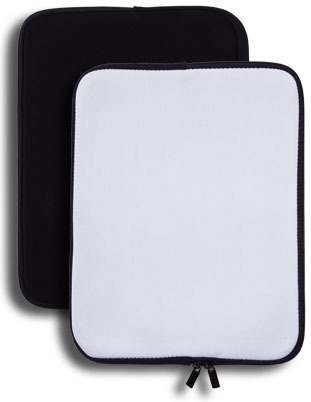 Encase your iPad Air in a custom neoprene case. Zippered Cases for iPad Air can be customized with your photos, graphics or patterns on the front cover with an elegant black backing. The Folding Case for the iPad AIR provides an elegant look with a fully customizable front cover and the convenience of an adjustable stand for horizontal viewing. 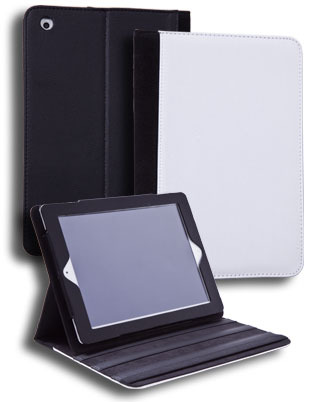 The Folding Case for your iPad AIR provides maximum shock absorption and scratch protection. Folding Cases for iPad AIR are fully customizable with your photos, graphics or patterns.